Ishan Kishan is a 19-year-old talented Opening batsman & Wicket keeper of Ranji team of Jharkhand and was selected as the Captain of INDIA U-19 team for 2016 Under-19 Cricket World Cup. 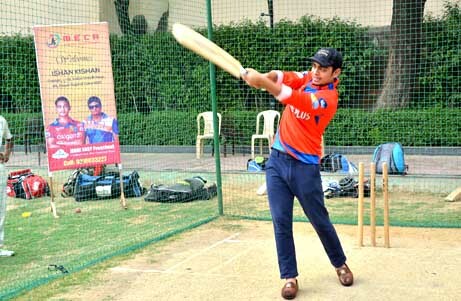 Ishan Kishan also played as part of Team Mumbai Indians in IPL 2018. In 2013-14 he was the Highest Run Scorer in U-19 State team in East Zone.